With the ‘90s nostalgia apparently firmly back in the spotlight, Reactivate, the techno, trance and hard house brand, popularised by cult electronic label React, has been reactivated for a special best of album. ‘Reactivate 91-01’ will be released on Friday 20 November as a 37 track double CD mixed by ‘90s DJ Rachel Auburn and a 42 track unmixed digital download. 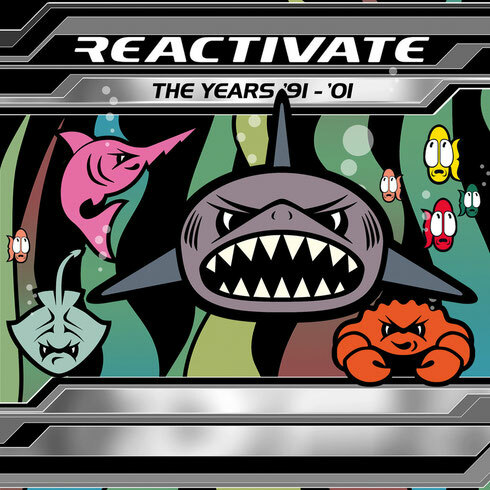 The Reactivate series, which sold over 500,000 albums, became a byword for new electronic music and introduced the burgeoning, uplifting European trance sound to UK clubbers, where it found favour at London at clubs such as Trade, The Gallery, Heaven, Bagleys and Peach, plus Scotland and across the regions, as well as Europe, U.S., Australia, South Africa and Asia. The popularity of this sound led to the rise of super-clubs such as Cream, Gatecrasher and Gods Kitchen promoting this style of music, which in turn became a pre-cursor for the EDM movement. As the sound became more ubiquitous, tracks crossed over to the mainstream such as Zero B’s ‘Lock Up’, Jam & Spoon’s seminal remix of ‘The Age Of Love’ and trance anthem Push ‘Universal Nation’, as well as more quirky releases on the React label such as Mrs Wood’s ‘Joanna’ and Sundance ‘Sundance’ featured on this album. Other popular cult tracks including Tony De Vit’s remix of S-J ‘Fever’, Marmion ‘Schoneberg’, Jens ‘Loops ‘N’ Tings, Lemon Project ‘Peppermint Lounge’ and internationally renowned DJ Armin an Buuren’s ‘Blue Fear’. Rachel Auburn, Original Blitz kid and fashion designer, was raised to club stardom in the ‘90s by crossover singles under the Candy Girls alias and Freska compilation albums on React, plus DJ residencies at Taboo, Trade and Tidy Trax. To celebrate its release Rachel played tracks from her Reactivate collection at Trade’s 25th Birthday.